Oakley Pitchman R Carbon is a Full Rim frame for Men, which is made of O Matter & Carbon Fiber. 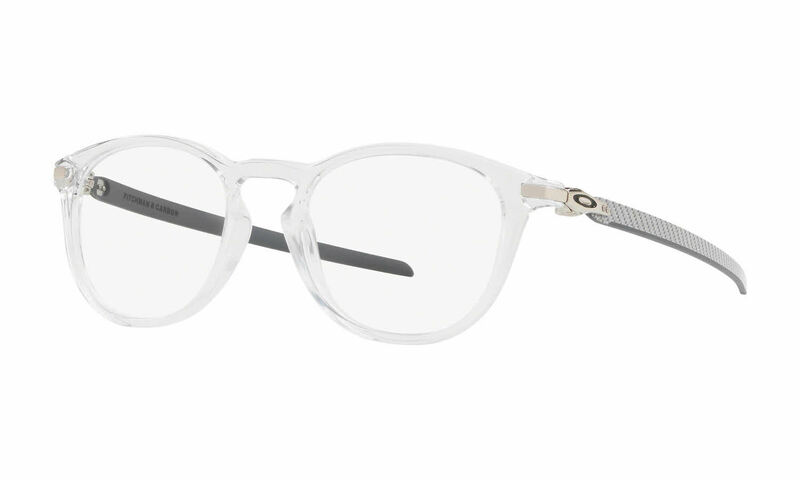 Oakley's O Matter is a light-weight, durable material designed with a degree of flexibility to absorb impact.--- Carbon Fiber is a type of injection molded material. In its infancy it was very brittle, but newer versions of carbon frames are very lightweight, durable, and strong; moreover, they retain their original shape. Oakley Pitchman R Carbon Eyeglasses come with a cleaning cloth and protective carrying case. I got these as prescription sunglasses for running, and the whole process and the product were great. I like that this model has no nose pads or ear socks, so there's nothing that will get loose or need to be replaced. Definitely recommend these frames and this site. These Oakleys rock!!!! Prescription is perfect! Glasses are very comfortable! I got these from Frames Direct and am very happy I did. They were much different than my past glasses so I didn't buy originally when I tried them on. I went back to Frames Direct and with the ultra light lens they are extremely comfortable. They are flexible and should be durable. Frames Direct was great all around. Great to not have the rear of the ear pieces bending over the ear but hugging the sides of my head comfortably. The Carbon earpieces, along with the lightweight lenses makes these the most comfortable and best fitting glasses I have ever had.